FACH AUTO TECH celebrated a Cup class victory after a powerful performance in the Dubai desert 24-hour-race. 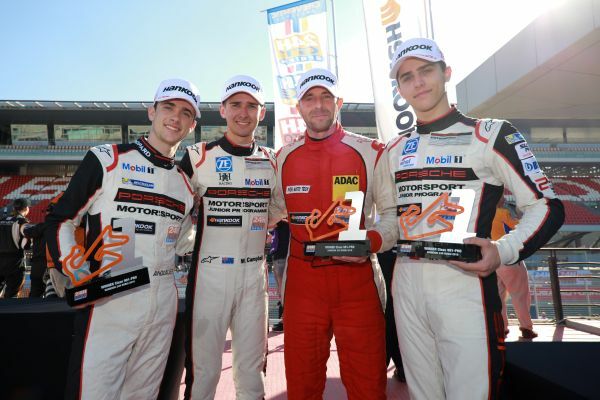 The Sattel team consisting of Matt Campbell, Thomas Preining, Julien Andlauer and Jens Richter, drove their Porsche to an overall 14th and first place in the 991 Pro category. Team mates Marcel Wagner, Heinz Bruder, Peter Hegglin, Michael Hirschmann and Philipp Frommenwiler clinched a class fourth after a strong catch-up pursuit. 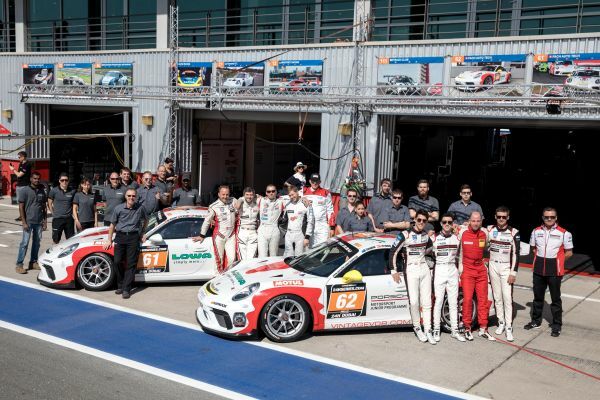 FACH AUTO TECH’s participation in the 24H Dubai race has been an established tradition since 2011. This year’s edition of the endurance race gained particular significance, because the team used a Porsche Motorsport Junior Programme car for the first time. Up-and-coming talents Matt Campbell, Julien Andlauer and Thomas Preining entered the race together with stalwart Jens Richter in a Porsche 911 GT3 Cup. The Juniors delivered a powerful performance in the United Arab Emirates and crowned it above all with their fighting spirit. Although brake issues threw the quartet several laps back in the initial phase, they stuck to their guns and fought forward to an overall 14th place. “The youngsters did a sensational job. The idea was to gather experience in a 24-hour-race and the result is the deserved reward for their hard work”, team manager Alex Fach sums up. 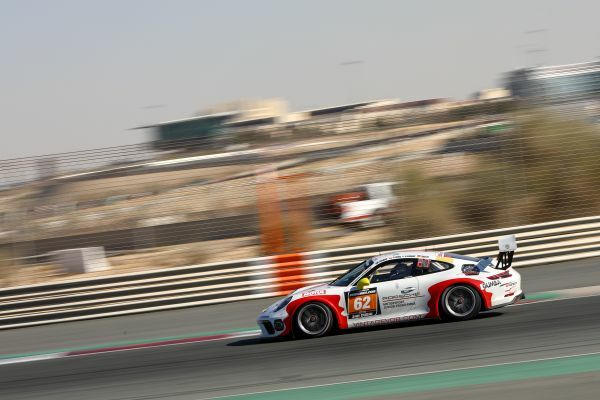 The second FACH AUTO TECH Porsche 911 GT3 Cup came in at an overall 22nd position, which after an accident at the beginning of the race, was a result the crew was no longer expecting. After this hot battle in the Dubai desert, it’s now time for preparing the season in chilly Switzerland. “Of course we’d love to spend a few more days in the sun, but the season’s European start is coming closer and closer and we’re focusing on that in the approaching weeks and months”, states Alex Fach.